Open toes, pretty toes, smooth feet, soft feet, happy toes, happy feet, light legs, light on my feet, skip through the street, skip along the beach. Washing someone else’s feet or someone washing your feet is seen as a sign of respect… respect yourself – wash your feet. A very wise, very well spoken man once said, wash your feet and all your body is clean. First, sit yourself on the edge of the bath, shower basin, bidet, or if you are into stretching incorporate a leg stretch and wash your feet in the sink! But actually wash them… often the feet get ignored to a point of washing the rest of the body and as the feet got wet and some soap on them because they were in the bath or shower at the same time that constitutes a wash, it doesn’t.Open toed summer shoes and bare feet leave the feet dirty, dusty and dry… dust and dirt are drying to your skin. Wash your feet at the end of every day before you get into bed. Exfoliator is a granular product that gently removes dead skin cells and ingrained dirt. Through gently sloughing off the dead, rough skin cells with an exfoliating product you will reveal younger healthier skin, which will have a more youthful feel and colour. You will also be stimulating the production of new skin cells from below the skins surface… cell regeneration!… Anything you put on your skin after an exfoliation is better absorbed into the skin, so moisturising is more effective and nourishing to the young skin you’ve revealed. A gentle exfoliating product (one with fine grains, and not too many of them) is recommended for use all over the feet and up the lower legs. Massage the exfoliator into the bottoms of the feet in circular motions, and swiftly over the tops of the feet and up the lower legs – pressure on the up towards the heart – to improve circulation. Using a clean towel, dry your feet - well!! Dry in-between your toes and up your legs. You should ensure you dry your feet, and in-between your toes, well, every time you wash them. Dampness in-between toes, feet getting warm… toes pressing together holding onto the warmth and dampness… provides a perfect condition for fungal growth. Now your toes are clean and nails softened you should be able to the cut the nails easily.Cut them straight across and not too close the pink of the nail. If you cut the nails down at the sides of the nails you have more chance of developing in-growing toe nails with the pressure of shoes against the toe the nail can simply grow into the nail wall – this is not comfortable and can cause infection. By keeping the sides of the nails above or at the height of the nail wall they will not grow into it. Cut off the length of the nail but not too close the pink of the nail. Where the pink nail (nail plate/nail bed) turns into the white of the nail (the free edge) is line called the hyponychium, this is a waterproof protective seal, and it stops dirt and bacteria entering the nail bed (the soft, pink skin under the hard nail plate), if you force this line down or break the barrier you are more susceptible to bacterial and fungal nail infections. Respect the line! Using a clean nail file – yes you can clean your nail files – in-fact I would recommend it – antibacterial soap and a nail brush will do the job – file of any sharp catches. Using the file in one direction, rather than seesawing at the nail is recommended to prevent splitting of the nail. Using a nice thick moisturiser, - if your flexible lay on your back with your legs in the air (great for circulation)– if that’s a little much sit comfortably and start massaging the cream into your feet, if you want some extra richness add some olive oil to your moisturiser – be sensible and do not try to walk on a floor you might slip on after this – massage the cream (and oil mix) into your nails, base of the nails – where the nail grows from – over the bottoms of your feet and up your legs. Take your time – this is a treat. You can either stop here and put on a clean pair of socks to hold in the moisture or move on to the next stages of the selfie pedicure. If your cuticles are dry and stuck to the nail plate add a little extra oil to them, massage this in and then use an orange wood stick to gently push them back. This is to stop the cuticle adhering to the nail plate and being pulled up the growing nail plate – which can cause splitting and tearing of the cuticle. Base coats protect the nail from nail varnish and staining, provide a nice smooth base for the nail varnish, and act as a mild ridge filler, they also help the nail varnish adhere and last longer. Apply two coats of your favourite colour – avoiding the cuticle and without ‘flooding’ the nail walls. Apply a top coat to give extra shine, bring out the colour and help the nail colour last. Put up your feet and enjoy!!!! And how do you maintain healthy feet!? Wash and dry your feet – especially in-between your toes. A fungus in a microscopic plant that very much enjoys damp warm skin, where it can thrive and live off the protein in your skin… commonly called athletes foots, commonly developing in-between the toes. If you exercise a lot, wear close toed shoes and socks a lot (especially if accompanied by lots of walking), have naturally damp feet, or are prone to athletes foot, a little sprinkle of talc/ corn flour / or specially medicated anti-fungal talc’s can be easy applied to keep dampness at bay and remove the perfect environment for fungus to grow. Thick skin builds up for a reason – protection of the delicate tissues underneath – you will often find it where your joints are – these need protecting from pressure to avoid damage and so you have a special layer of skin that is found on the soles of the feet and palms of the hands just for this purpose – the Stratum Lucidum – it is a layer of cells filled with a hard yellowy protein called eledin – and it thickens to provide cushioning. Cutting into or removing it will encourage faster regrowth of this layer of skin, which will become very dry and may crack. By doing this you are removing your skins natural protection… this protection will build up where your body weight is being specifically applied to one point– do you need to reconsider what shoes you are wearing? Are you standing evenly? Look after your feet all year round, it doesn’t take long, it isn’t expensive, it’s really very easy… simple things like washing them at the end of the day, drying them well -especially in-between your toes – spend a few moments massaging in some moisturising cream - cover all of your foot and include your toe nails and the base of the nail where the toe nail grows from, and then slipping on a pair of clean socks! And if you want to go the extra, extra mile every now and then you can treat your self to a professional pedicure – someone doing all the above and a little more for you! This is the key to happy, healthy feet. For anyone affected by serious illness, it is essential for their well-being to have access to high quality, evidence based psychological, emotional and informational support. Recent evidence based research proved that people have a much better rate of survival if they feel supported. Living with a life threatening illness can be terrifying; people often feel helpless and hopeless. 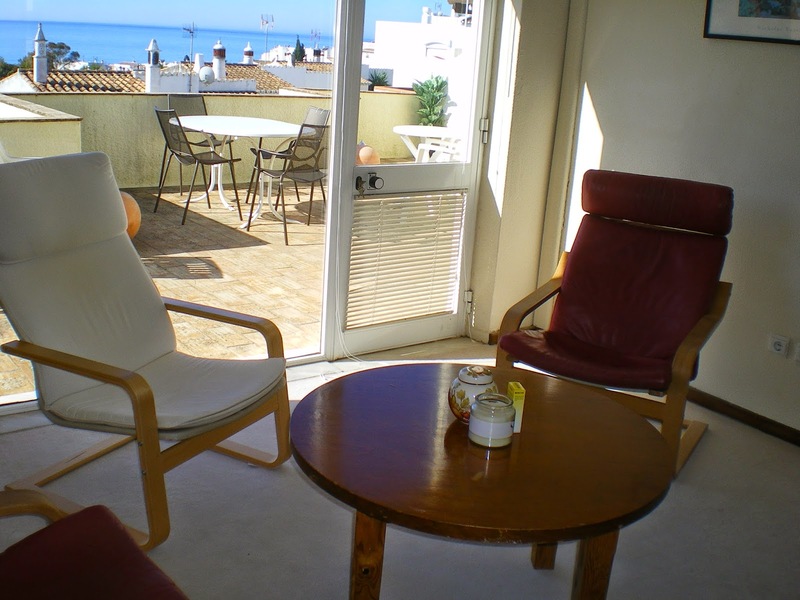 Most medical professionals here in the Algarve recognise that additional help is needed to enable people to cope with the psychological, social, spiritual and physical impact a serious illness is likely to cause. 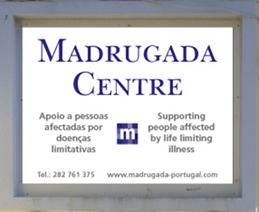 The professional and volunteer team at the Madrugada Centre in Praia da Luz, want to empower people to live life through and beyond their illness. As part of this, the centre have treatment rooms offering beauty and holistic treatments to people suffering from a life limiting illness and, where appropriate, their carers and families. They are able to offer Massage, Reflexology, Reiki and Bowen Therapy in their therapy room of which the most popular to date seems to be the Reiki and Reflexology treatments. A little on the treatments offered. Reflexology has long been acknowledged as a deeply relaxing therapy with scientific results suggesting that the therapy may be as effective as painkillers, i.e., findings showed 40% less pain as well as being able to stand pain for around 45% longer when they used reflexology as a method of pain relief. All of us experience pain at times and appreciate the feeling of relief when it passes. Transitory pain, whilst unpleasant, can make us grateful for our generally pain free life. People who suffer from chronic pain (that lasts over months) have a difficult path. Chronic pain can impair many aspects of life including attention control, problem solving, mental agility and memory. It can also be associated with emotional imbalance including anxiety, anger and depression. Living with pain, makes it more difficult to enjoy and take pleasure from life. At Madrugada they have found that Reflexology has an amazing ability to induce a state of deep relaxation. 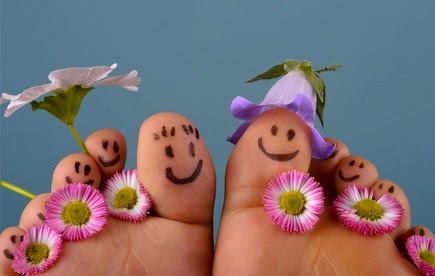 It is claimed that reflexology helps to restore balance and maintain homeostasis. Once a state of deep relaxation is achieved, the body’s own healing abilities start to take over. Clients frequently report improved sleep and experience beneficial effects from the treatment. Although, it is not known as yet from a scientific perspective, how reflexology works, its´ benefits are becoming increasingly recognized by the NHS and the use of Reflexology is becoming further integrated into clinical practice in the UK. Nurses are also opting for training in reflexology to use as part of their toolkit. Reflexology is increasingly available in hospices and Day Centres across the UK where patients are referred by the clinical team. good health. Developments come from different cultures the world over, where it has been individually and culturally developed, its benefits recognised. Massage is now found in many hospitals, health centres, clinics etc. offered by therapists, nurses and other health staff who have received training and is regularly offered to athletes, dancers, sports people and actors who use massage to aid recovery, promote relaxation and prevent or treat soft tissue injuries. As well as the physical benefits of massage which promotes the health of all of the systems of the body, psychologically it helps create a feeling of well-being and health, promotes a feeling of being cared for which promotes relaxation and contentment, reduces mental stress and promotes feelings of increased energy. As dictated by The International School of Bowen Therapy. There is a great deal of research currently being conducted into how and why Bowen moves promote healing. It is generally accepted however that they serve to generate an energy impulse, triggering the body’s healing mechanisms. In most instances, the basic Bowen move is a gentle cross fibre manipulation of the fascia or connective tissue. These specialised moves are applied to specific muscles, tendons and ligaments, initiating relaxation of the muscles and reduction of nerve pressure. This allows the body to make appropriate adjustments to re-align and balance for improved health and well-being. The application of Bowen Therapy includes a number of waiting period’s in-between specific movements, which allows the patient’s body to respond to the stimulation the therapist is applying. It is used on a multitude of ailments, such as muscular and spinal complaints, to visceral conditions. Its use with debilitating and degenerative conditions can be profound. One of the many advantages of ISBT Bowen Therapy is that it is among the gentler of healing modalities. There are very few moves that require anything more than a gentle touch. However, that touch can produce excellent results. Bowen Therapy can be used almost all the time. It can be used on almost any injury any time, whether these are fresh injuries or old injuries. There are a few contraindications. Although at times of course the moves should be applied with extra care. 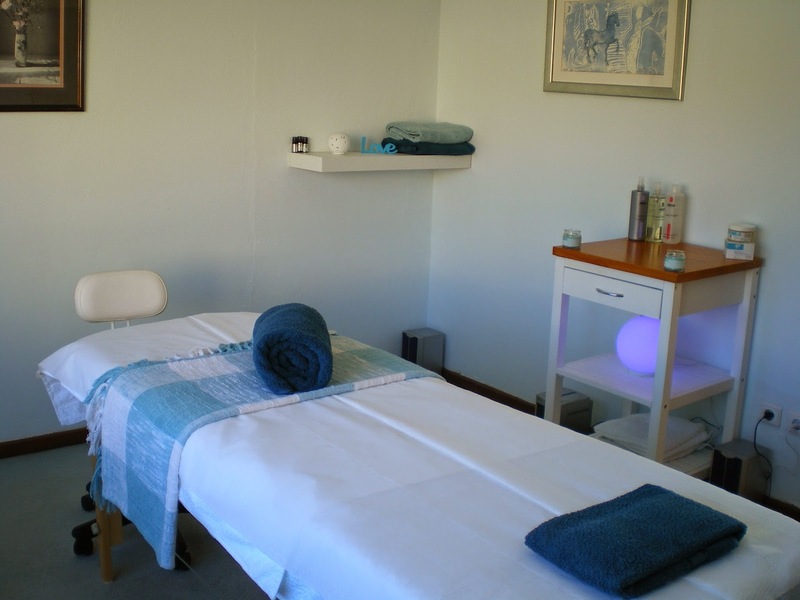 Not only does the Madrugada Treatment Rooms offer Reflexology and the like, but they also have a talk therapy room where they offer counselling, hypnotherapy, stress management and other talk therapies. All therapists provide treatments voluntarily. Some have contacted the centre independently and some have been recommended. Estetica para Profissionais have been very active and described as ‘wonderful’ by Kathy who works at the centre, in encouraging therapists to contact Madrugada to volunteer. All prospective volunteers are interviewed and their qualifications checked. References are taken and they are required to attend an Introduction to Palliative Care training workshop. Any therapists recommended by Estetica para Profissionais have been described to be “professional, caring and extremely committed to us [the Madrugada centre] and the people they are helping” whilst feedback from the therapists themselves has indicated that they also find it to be an uplifting experience. Madrugada offers complimentary therapies every Tuesday afternoon 2pm to 4pm. 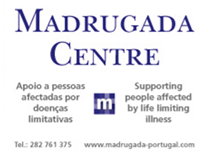 Appointments can be made for people suffering from a life-limiting illness, their carers and families by telephoning the Madrugada office on 282761375. Please do get in touch if you or someone you know could benefit from this wonderful service or indeed if you would like to volunteer as a therapist. 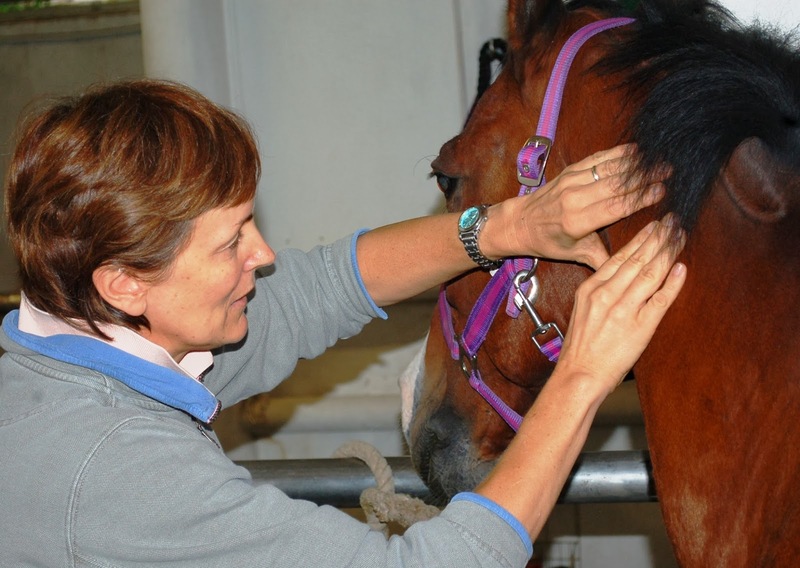 We´ve experienced the wonders of ISBT-Bowen Therapy on humans, now a leading animal physical therapist is coming to Portugal teach this great work on dogs and horses. Suzanne Baker (Bsc, D.C. Dip Acc. ), who is based at Hong Kong’s famous Sha Tin racecourse, has accompanied veterinary teams as physical therapist for the Asia Games, South East Asia Games and the Beijing Olympics equestrian events. Her most recent successes include being trainer, coach and therapist for the Gold medal winner of last year’s Asian Eventing Championships. In 2013 she was also manual therapist for the winning horse in Hong Kong’s major Group One race. 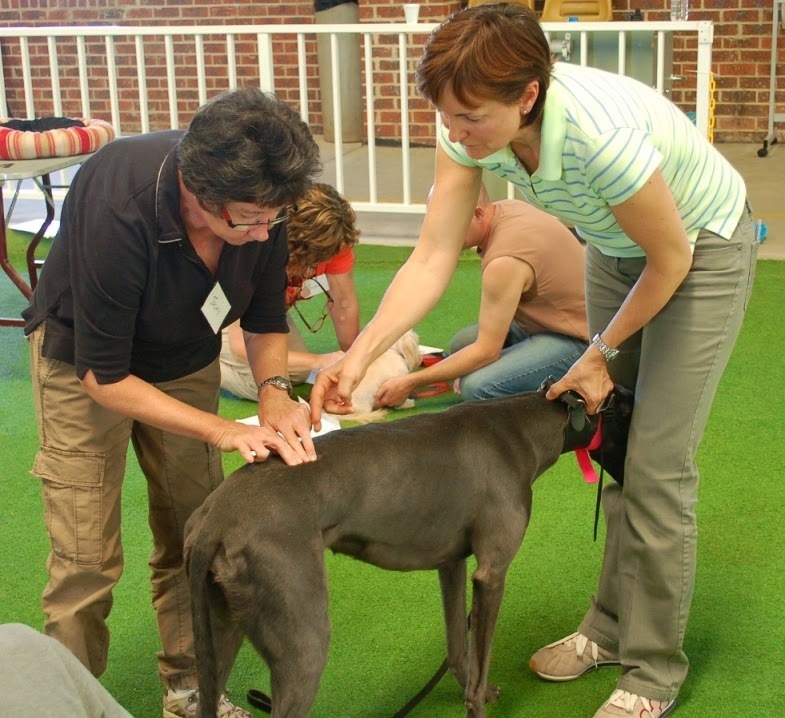 She will be presenting Level One of ISBT’s Canine Course on July 22/23 and Level One of the Equine Course will be held on July 26/27. The courses are offered in three levels of two days each with a prerequisite being Module One of the human course. This, according to, Suzanne Baker, ensures that students have an understanding of the work before approaching animals. This offers protection to the animals who may otherwise be hurt by an applicator who doesn´t understand the subtleties of this amazing work. “Apart from anything else, riders who have physical problems can cause problems for horses, for instance, so it´s important that a therapist, even though they may be specialising on animals, understands how to overcome issues with riders. Australia’s International School of Bowen Therapy (ISBT), based in the Algarve, has been conducting Bowen Therapy human courses internationally for health professionals for 15 years. Mrs Baker, formerly from the UK and one of ISBT’s first human course graduates in Hong Kong, worked with ISBT Directors Lisa Black and Col Murray to develop the techniques for animal use. “It has been a wonderful experience,” she said. “Everyone, including me, was amazed at how simply we could create major change in often difficult circumstances.” Soon after introducing the ISBT-Bowen Therapy work on horses, people with dogs started to find their way to her. “It was really interesting to go from working on huge horses to applying the principles so successfully on dogs. ISBT-Bowen Therapy is derived from the work of Australian, manual therapist Tom Bowen (1916-82) who was a legendary healer renowned for treating humans and animals. What is Crybaby Semi Permanent Mascara? Crybaby Semi Permanent Mascara is a half hour treatment application to offer your clients. The effect of which is eyelashes that look and feel just like they have mascara applied. This ‘look’ lasts for a good two weeks. What if I already offer eyelash extensions? Eyelash extensions are fabulous – when applied professionally, with good products – and you can create a fantastic look when you apply Crybaby Semi Permanent Mascara to your client’s lower lashes with eyelash extensions on the upper lashes. It is not an ‘either/ or’ option. You can offer both services successfully. Especially if you focus on eyelashes / make up / nail extensions. However, Crybaby Semi Permanent Mascara also attracts its own, different and new clients from eyelash extensions too. 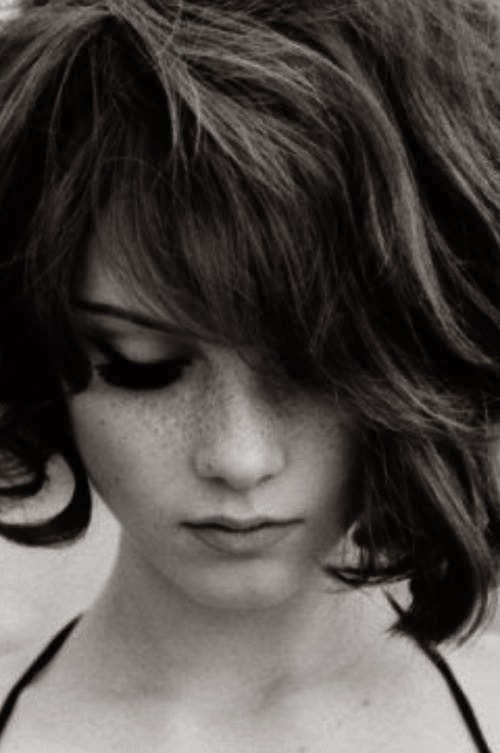 I, for example, would not opt for eyelash extensions, it is not my style, but I love the Crybaby Mascara look. I like to wear mascara, but with a 2 year old and a busy professional life, what used to be my make-up application time is now my sitting having breakfast with my daughter time, and it is enough if I remember to change out my slippers as we leave to crèche/work in the morning, let alone stop to apply mascara. With the application of the Crybaby Semi Permanent Mascara it is just there - on when I wake up! What type of salon/ spa / therapist would this treatment best suit? All !!! If you are in an area with many seasonal clients this treatment offers you a successful treatment opportunity, it is ideal for holiday makers, that will have them rebooking with you year after year on their return. Going to beach, lazing by the pool, sweltering in the sun and in and out the water - advertise the application of the original smear-proof mascara, professionally applied, a promise of beautiful lashes with no ‘panda eyes’. Crybaby Mascara is great for regular use by sports people, water lovers and busy mums. Gym bunnies, glasses / contact lens wearers…. Anyone who wears mascara. If your treatment menu offers eyelash tinting and eyebrow shaping, upsell to add a Crybaby Semi Permanent Mascara application, market this product and watch the enquiries come in. You can easily work mobile with this product, your kit is all in a beautifully presented bag and for those who want to offers a fantastic opportunity to offer the treatment from spas/ salons across the Algarve as a freelancer. How much does it cost and how long does it take to apply? This is a quick treatment to offer…it’s an easy, 30 minute application, and the charge should be between 35€ – 40€, of course if you are in a high market area or a Spa where general prices are more then by all means charge more – know your market. It is really easy and quick to remove professionally, and I would recommend the client comes back to me for removal, because it is such an easy removal I would include it in the cost – it also stops them picking off the remains!!! And they may well book something else to have at the same time as the removal! If the clients are off, back to their home countries, advise them that they will notice the Crybaby Semi Permanent Mascara gradually start to crumble and wear off after 2 weeks. If they find a technician where they live they can have it removed, otherwise they can purchase a specially designed, and very lovely, high quality, Crybaby home use Mascara, for application over the top until the last has worn away naturally. Who can attend the training at Estetica para Profissionais? If you are a make-up artist used to applying mascara on others, or an eyelash technician for eyelash tinting or eyelash extensions you can attend the training. I would not recommend this training for someone with no experience working around the eyes. What do the training costs include? Training costs include a full salon kit that will keep you going and going in a beautifully presented bag, with the machine for drying the product, all the tools and products for the application and marketing posters, promotional leaflets and after care advice leaflets, as well as a window sticker and of course your training, certificate and our ongoing support. The costs of the course and kit are earned back quickly. After the training day we ask therapists to practise 5x immediately after training for confidence development, if therapists are local we ask them to practise in our student treatment room, if not local we ask them to send pictures of their treatments via email. Not many people offer this treatment, so if you choose to market it well you could do very well for yourself! Training at the Algarve Beauty School - Estetica para Profissionais is on the afternoon of Wednesday 5th of March. To get more details and/or book, contact sales@algarvebeautyschool.co.uk or call 00351 282 762606. To book training at your salon or Spa – ask for a quote. Jessica Vartoughian, known as the “First Lady of Nails,” founded Jessica Nail Clinic in 1969. Being the first nail salon of its kind it was the first ever nail only salon. Jessica Nail Clinic remains the foremost centre of natural nail care with its unique manicure technique and exceptional treatments created by JESSICA. Known as “Nail Cultivists” all those who use the JESSICA range have all been trained and certified in Jessica’s Nail Cultivation System by JESSICA and before each manicure begins, the Nail Cultivist analyses the client’s nails and prescribes based on the nails’ condition. JESSICA is a pioneer in the professional nail care industry as she was the first to recognise that like skin and hair, all nails are not alike. She identified four different nail types – damaged, dry, brittle or normal – and created specific treatments for each type. JESSICA’s unique nail care philosophy is behind each and every product of her extensive Jessica Cosmetics line that offers products specifically targeted to treat each different nail type. Natural Nail Care has never looked so good! Frequented by celebrities of film, television, politics and society, as well as those who simply want lovely natural nails, the Jessica Nail Clinic USA offers elite services that exceed the everyday manicure and pedicure. And in the UK, JESSICA can be found in the prestigious Fortnum and Masons who's nail cultivist's will also be polishing our models to perfection at the London Fashion Week. Today, Jessica and her unique 'System' and product range is successfully offered in over 28 countries. In all ways, Jessica was at the forefront of both a product and marketing revolution in the multi-million dollar nail care industry that exists today. And now Portugal has it's very own JESSICA distributor! So what is the philosophy behind JESSICA? Q: What Women Want …….. Intelligent, informed women want more. They are selective in their use of nail care products. They want to be confident that they are getting the proper treatment for their individual nail condition. From experience we know about the healthful or damaging effects of different products and methods and the effects they have on our nails. No matter how good a manicure looks at first, its beauty will fade within days without a healthy foundation underneath. Every part of the Jessica Nail Cultivation System® is about promoting the well-being of the natural nail …and your business. The System is a synthesis of technique, philosophy and products. The cornerstone of the JESSICA System is the ability to analyse and recognize each nail type and treat each nail with specially formulated treatments. Any man or woman can achieve healthy nails with proper care and maintenance. No nail service is complete without offering your client a kaleidoscope of colour in a wide variety of dazzling shades, textures and finishes. If you or your salon/spa would like any more information on the JESSICA products available in Portugal, please get in contact with our JESSICA Representative, Sarah at jessicanailsportugal@gmail.com. So join the elite and reflect your treatment quality with the products you use - start using JESSICA as your nail products of choice! I studied in both Surrey and London and am qualified with a IHBT (1980), Reflexology and Aromatherapy ITEC, and IMA in make-up artistry. When studying, I really enjoyed the practical side, i.e., meeting and helping people, but what I found particularly hard was the written side since I am slightly dyslexic, but not enough to warrant verbal exams (spell check is my best friend!). I was however very determined to pass the written exams and worked hard to do so. Consequently, although not achieving the top grades in the class, I achieved student of the year which I believe was for the sheer effort I put in to achieve the grades I was awarded. Having studied initially in Surrey, I moved to continue my studies in London, also working in Salons and spas in Central London where I went on to run 2 salons. I then moved back to run salons in Surrey, eventually becoming a self-employed mobile therapist and then a therapist on Cruise Ships. Eventually I ended up here in Portugal working on a freelance basis for a couple of salons. I do this as I still enjoy the therapy side of my profession….but my new passion is make-up! After gaining the essential professional make-up qualification I started being asked to do a couple of weddings and then via word-of-mouth more and more. Consequently this part of my career has blossomed. I just love being part of someone's big day. It's a massive responsibility and I take that very seriously. Emotions run high and you as the make-up artist have to be able to fit in, especially not ‘flapping’ when everyone else is. Most importantly, when doing make-up you must deliver your best work every time and as if it's a final exam. I adore learning and that will only stop the minute my desire to learn stops.....if that happens it is time to do something else. So personally I would like to expand the photographic side and catwalk side of my profession. However being a make-up artist is not all glamour - you are the first person on set, to prepare and set up, and the last to leave. Your case weighs a ton and you have to take care of your make-up brushes and make-up, specifically in Portugal keeping it cool in high temperatures on location can melt and ruin the products. To me, what makes a good therapist is a person who is genuinely interested in people and thinks of them before themselves. Call it a nursing instinct without the blood and dressings! A good interest in human biology is essential as well as a wealth of knowledge in skin conditions and diseases. I also believe a good therapist also cares about your own appearance (but no in an obsessive way) – you are after all a walking advert! Overall, I have had the pleasure of visiting many salons and spas whereby the good ones, to me, are apparent by the clear excellence of their staff who have the above qualities. When it comes to products, I have no one range that I favour, but like to think that I choose the best for the condition and from a variety of different companies. Nevertheless I do like Elemis, Liz Earle, Aromatherapy Associates, and a range that a friend of mine has developed over here using organic oils called Pura. Regarding treatments, nobody can dismiss the value of relaxation, the benefit of a facial or body massage. But the revelation of sound waves and laser for the regeneration of the skin, to me, is the next big growth area within the industry. Fads will come and go but I have had the ethos of only doing and selling what I believe in. Beauty therapy is a great profession, hard work both physically and mentally, but so rewarding! Some of my best friends were and still are my clients. Not only has my profession given me the fortunate position to travel the world but it has also allowed me to meet some awesome people! Many people have inspired me - a gentleman who passed away at 92 a few years ago called Mr Donald Rees, my dear friend Sam Spilanne (AKA mrs attention to detail! ), Verna Kinder (a lady who has an enormous heart and sharp business acumen) and last but not least my father, Mr Malcolm Elson, who showed me that hard work, compassion, determination, and reading a situation will get you a very long way .......my journey continues thanks to my dad! Pinda Massage - The Ultimate Detox! With many people undergoing their ‘January detox’, Pinda massage has become a hot-topic in assisting an integrated detox and relax. Not just for the new year, the Pinda massage is a fantastic post-massage treatment that provides multiple benefits all year round, making it a valuable skill (and additional revenue source) for therapists to offer clients. Having originated in Thailand within between 14th–18th centuries when Ayutthaya was established, Pinda or Poultice massage has since been used in eastern medicine – being used specifically on soldiers returning home with painful muscles. Ancient cultures use the earth's herbs and spices, not only to cleanse, nourish and enhance the body’s physical ability but also to also tone the skin as well as to treat both Vata and Kapha disorders of which are naturally cold doshas. Consequently a pinda (bolus/ball) massage involves the use of plant pouches - medicinal pillows made from cotton or linen and filled with aromatic mixture of plants, roots, blossoms, exotic fruits, Mediterranean salt and buckwheat, chosen for their stimulating and relaxing properties. Depending on what the client wants to achieve, blends for filling the cotton/linen can be customised accordingly, e.g; relaxing blends use meadow flowers and herbal plants whilst revitalising blends contain a mix of herbs, and captivating blends include a mix of camomile, calendula and lavender. With a invirogating massage technique applying gentle movements, the pinda is warmed opening the body’s pores allowing the medicinal heat to the muscles which along with the pinda massage oil provide scent, touch and decompressions of contained energy that create a deep sense of relaxation, rejuvenation, peace and harmony and general balancing of inner energy. Consequently the pinda neutralises negative energy that is often the source of health issues. Recovery is encouraged due to stress decreasing, internal energy re-balancing; and unwanted symptoms being eliminated. During the massage, harmful sedimentary substances are expelled from the body, since the specially concocted healing plant mixture is both absorbed through the skin as well as inhaled through the nose. The massage is fantastic for improving blood circulation, lymph circulation and the metabolism, as well as relieving tension in tight muscles and rebalancing abnormal sleep or eating patterns. It is also an incredible treatment for beautifying the skin, enhancing circulation and drawing fresh energy to the skin’s surface. The ultimate detox for both spiritual and physical harmony? It would seem so! Estetica para Profissionais rate Pinda massage so highly that we are holding a one day workshop for trained massage therapists only. Costing EUR 100, the workshop will be held on the 2nd February, (for those wishing to be taught in English), and the 3rd February, (for those wishing to be taught in Portuguese). You will learn both the massage techniques of Pinda massage as well as how to make the actual Pinda itself, mixing a beautiful Valentine’s blend with rose petals and jasmin oil- just in time to offer clients a Valentines Day promotion! If you are interested in joining our workshop, contact us today and start promoting your Valentine’s Pinda promotion now! For information, please contact 00351 282 762 606/00351 913211797 or email: Naomi@algarvebeautyschool.co.uk. Simon & Susie, British Trained hairdressers with 20 years of hairdressing experience. - English speaking. - Tahe Botanic Professional hair products! -Summer offer Free conditioning treatment given with every blow dry this month To keep your hair silky , shiny and in great condition. Amazing Tahe professional botanic products used on the hair, giving great results. And free hair consultations Tel 913410419 or 282 789 422 for appointments. Visit Rua tristao Cunha, Lote 48, 8600-626 Lagos. Click above to visit our website including our shop!